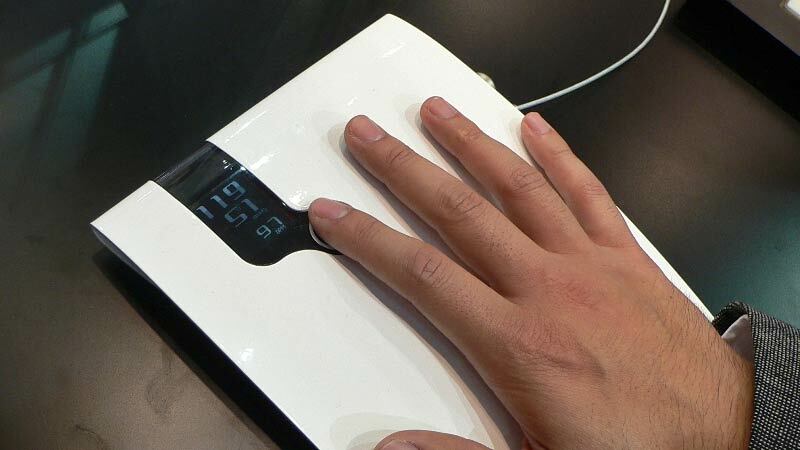 Using the same phase shift technology developed for its portable breast cancer screener, researchers at Nihon University have created a blood pressure monitor that works like a fingerprint reader. So gone are the days when your upper arm needs to be strangled with an inflated cuff. A pair of LEDs and light sensors embedded into the monitor shine light into a patient's fingertip and measure its intensity when it bounces back. Increased blood pressure means there's a greater density of red blood cells in a given area, which will absorb more light and appear darker to the sensor.